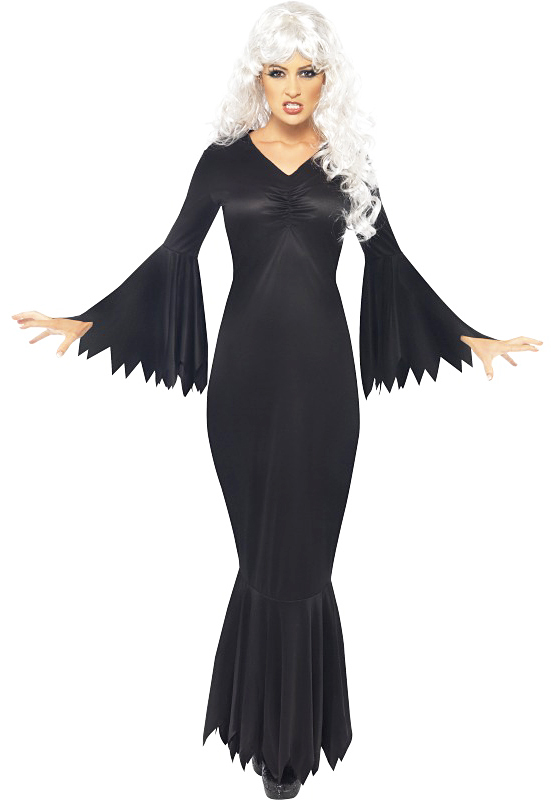 Cover your bare necks at night if you see a lady lurking the streets in this Midnight Vamp costume! The blood-sucking dame would wear this long, V-neck, fitted black gown with sharply cut edges at the hem and sleeves. This Halloween, become the typical vampire matron in this fancy dress costume who attacks at the strike of midnight!